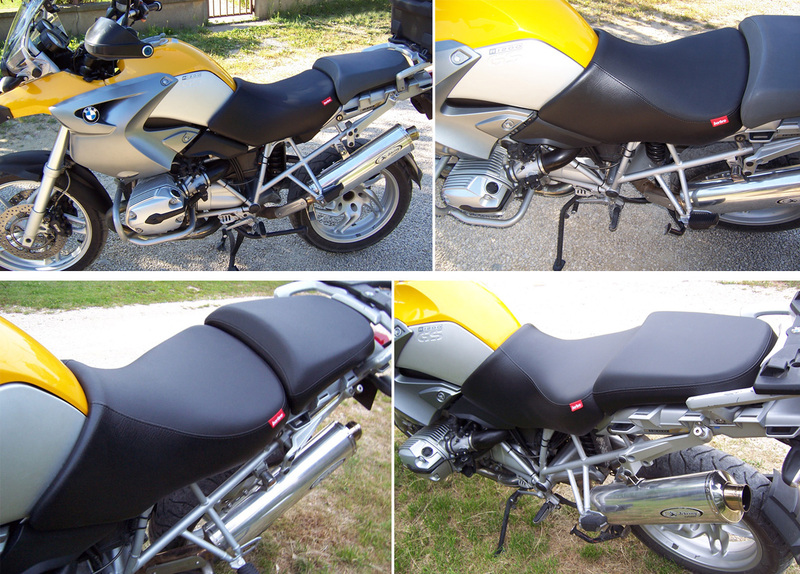 BMW R1200 GS and GS Adventure. 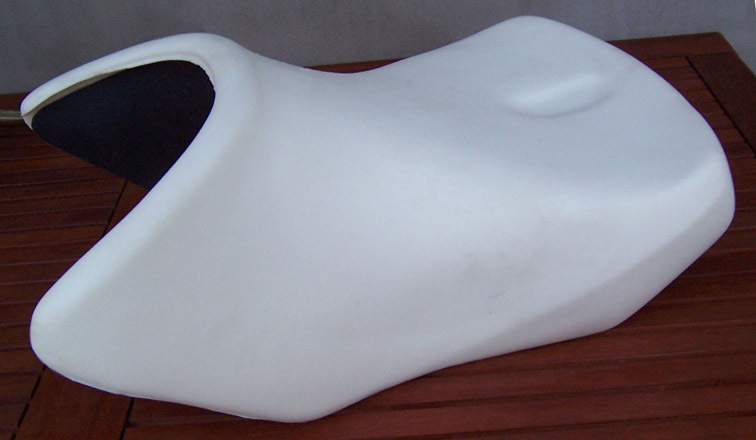 Our main goal while designing the seat was to terminate the comfort insufficiencies of the factory seat with stopping the driver's continuous slipping on the fuel tank - especially at breakings and engine break. 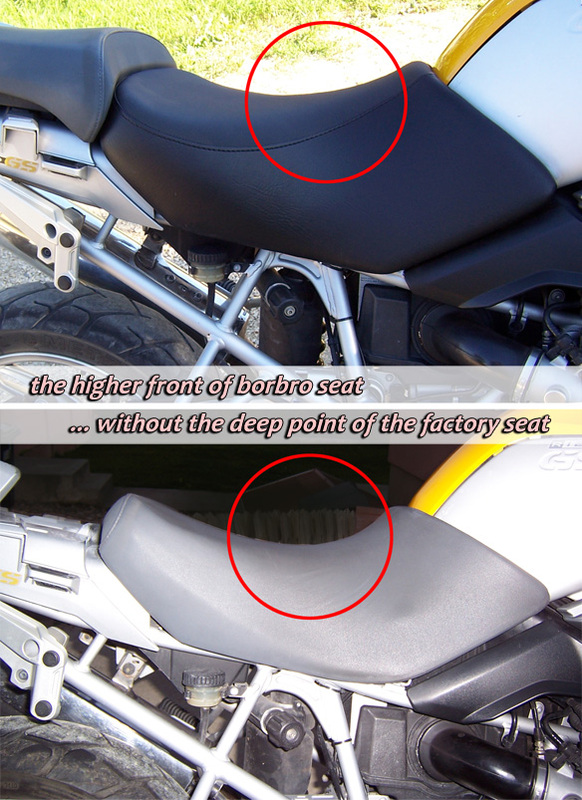 The front part of our seat is significantly (about 3-3.5cms) higher without a so deep point at the front as on the original seat. 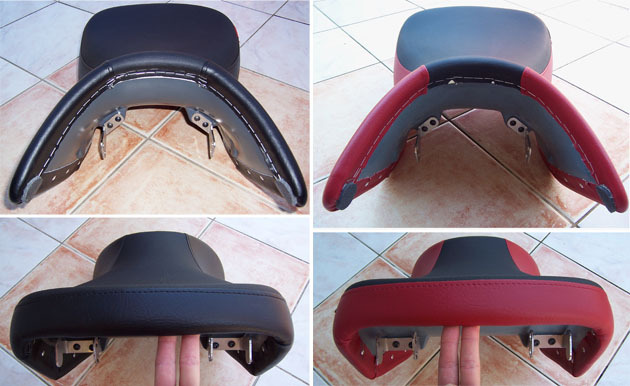 This way the driver can keep his ideal sitting position (- at the back half of the seat) in the right distance. 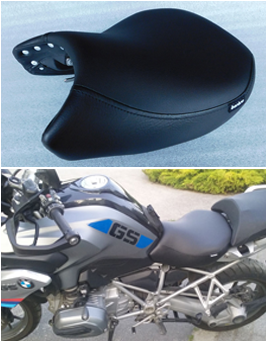 The sitting height at the rear part is the same as on the original BMW seat. 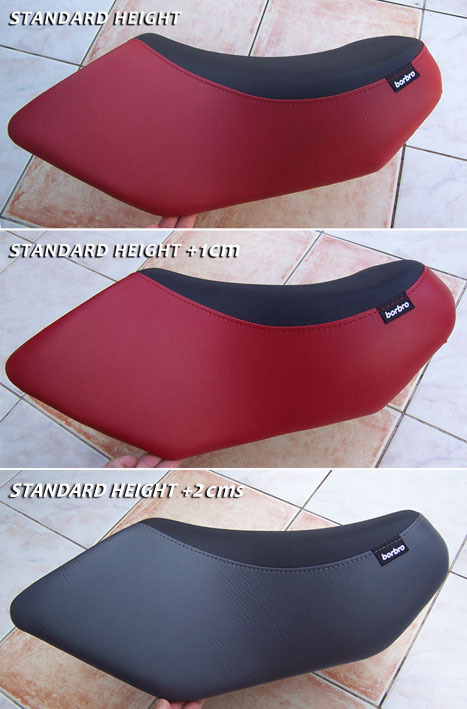 Wider cushion for bigger support and better sitting comfort. 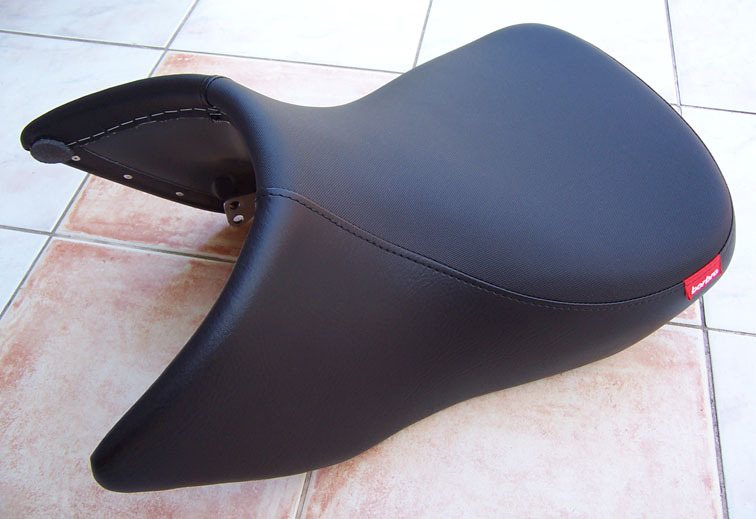 Our foam shape also features a unique Ergonomic Comfort Groove for the tail bone (- Oxys Coccyx) that takes away the pressure point from the bottom of the spine, and this way it ensures painless sitting on longer runs as well. 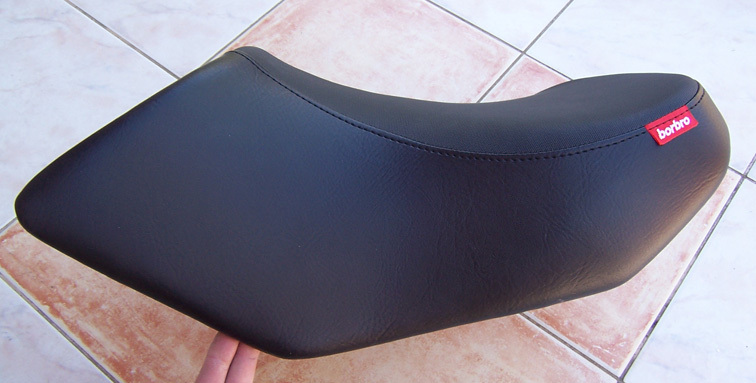 The standard seats are cushioned with the normal hardness cushioning. 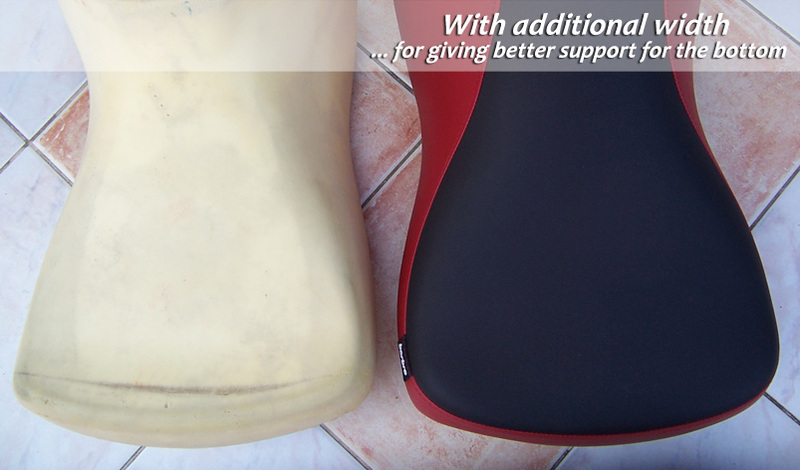 Our unique laminated fiberglass baseplate gives a strong and flat surface below the foam without reinforcing braces that could create unwanted pressure points, and it also gives additional place for the cushion's thickness. 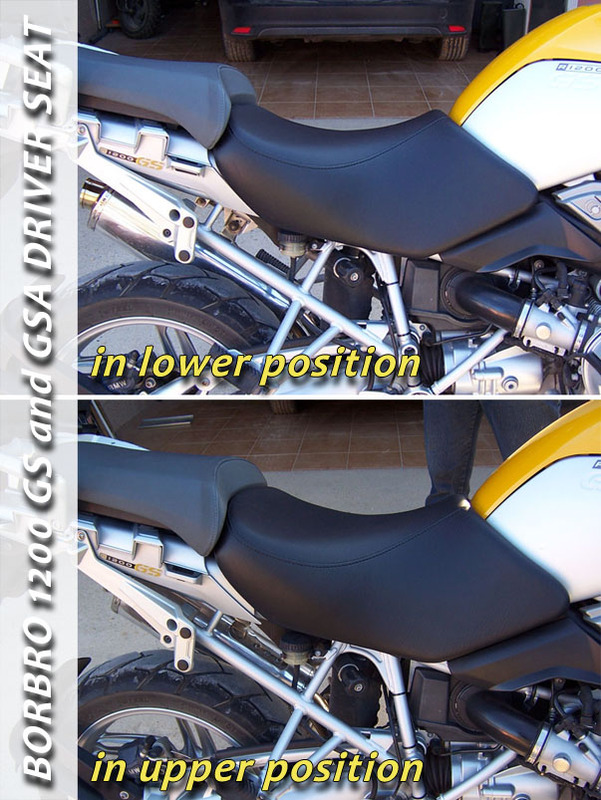 The Borbro 1200 GS and GS Adventure seats are mounted with stainless steel tube holders with 2 sitting heights (- as on the original seats). 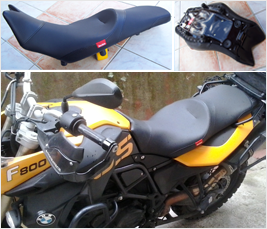 This sturdy solution also replaces the weak rubber tube tighteners, that can easily tear after a certain time. 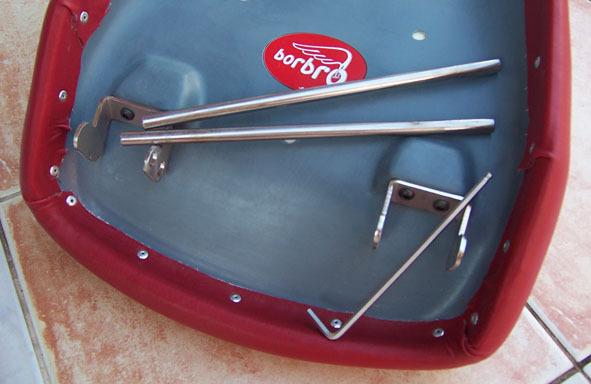 Our seats are basically delivered without the 2 metal tubes that can be taken on from the original seats, but of course you can order the tubes in plus if needed. 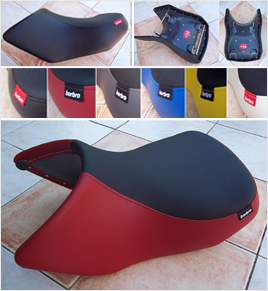 The standard version of the seat is available with plain black, red, gray, blue or yellow vinyl material at the side, black anti-slip material at its top and with red or black Borbro label. 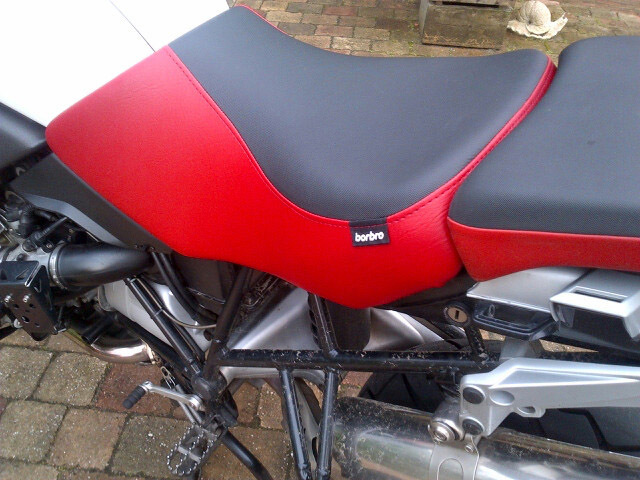 But of course other material and colour combinations can be ordered as well, if available. 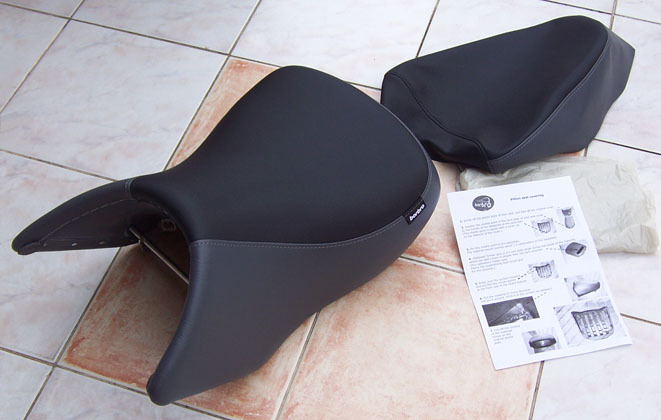 The standard seats already contain a thin waterproofing foil below the upholstery to separate the cushion from wet.